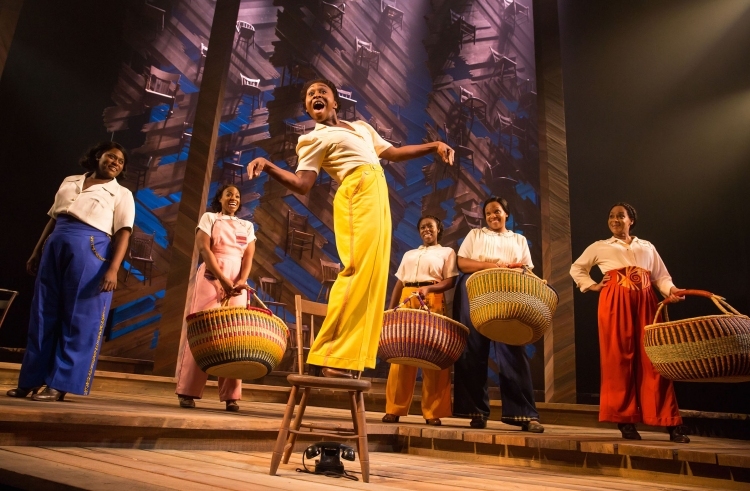 Scaled down to its very essence, the first Broadway revival of The Color Purple is a life-affirming joy and the singing is out of this world. 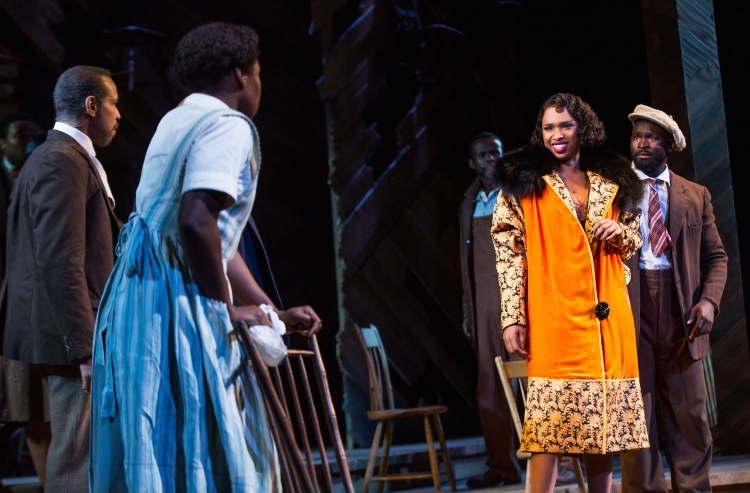 To have Jennifer Hudson on the Broadway stage is miracle enough, but the additional presence of human dynamo Cynthia Erivo in the lead role is the one-two punch that makes this show a knockout. With a volume that is completely at odds with her petite frame, Erivo brings down the house time and again, earning a standing ovation before the final curtain with Miss Celie’s joyous anthem “I’m Here.” The audience’s enthusiasm and affection are amplified by Erivo’s superb performance as the evening builds to that incredible 11 o’clock number. With little or no affectation, Erivo conveys Celie’s inspirational journey from broken, depressed young woman to successful, contented older woman. As Celie’s arc progresses, Erivo subtly changes her stance, her body language, her facial expression and more. 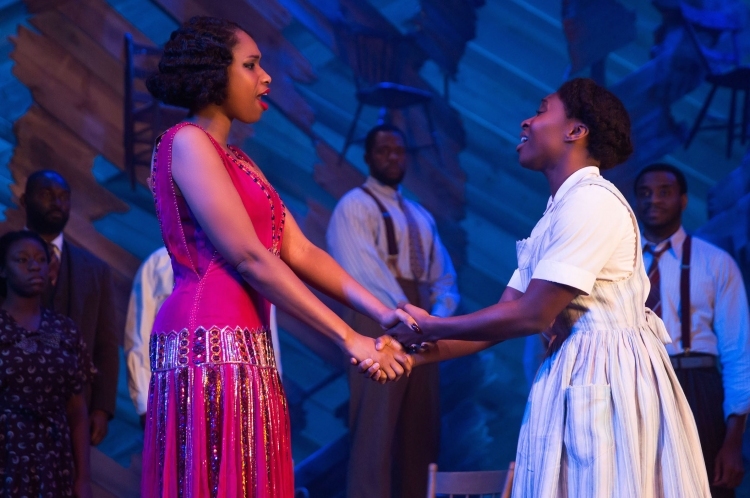 By the time Celie finds the courage to reclaim her life and happiness, the audience is whooping with joy. Aiding Erivo’s connection with the audience is the lack of extraneous production elements. 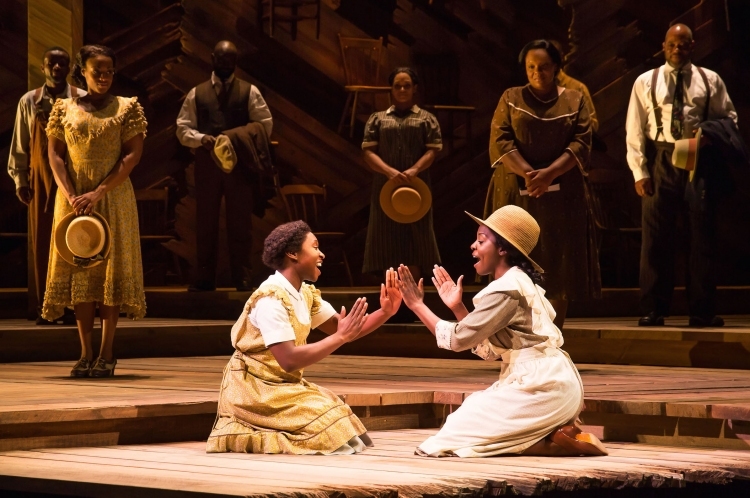 Impressively lavish as it was at the time, it is clear, upon reflection, that the original Broadway production of The Color Purple was somewhat overproduced. Reduced to a thatched rear wooden wall and multiple wooden chairs, the focus is entirely on the show and it certainly holds up brilliantly. 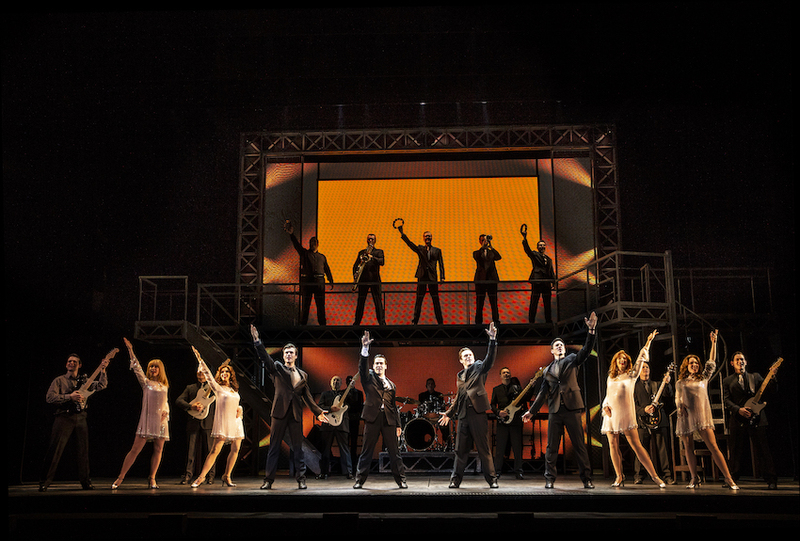 The current production is also streamlined, compared to the original, in terms of running time and cast size. The reductions brings a couple of limitations. With no changes of wigs or makeup, the passage of forty years of time is not overly clear. While the lead roles are distinctive, the movement of ensemble members in and out of supporting roles is occasionally confusing; at times it seems that director John Doyle is relying on audience knowledge of the story. The costumes are less detailed in this production, and, while the design initially seems drab, Ann Hould-Ward’s master plan is eventually revealed. Shug Avery’s arrival stands out because she brings the first splash of colour to the stage. Celie is intoxicated by this colour, and by the person who is wearing these glamorous outfits. 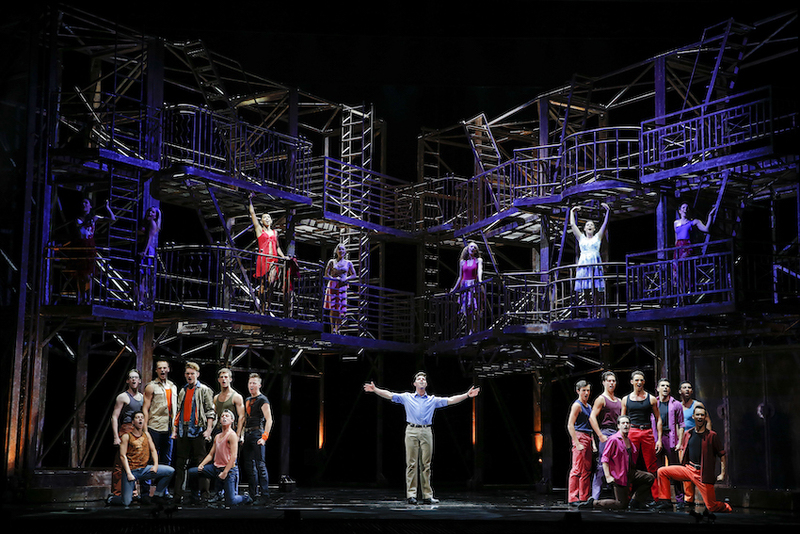 As act two progresses, Celie begins making her famous pants, and soon the stage is filled with a rainbow of bright colour as each character makes peace with their life and finds happiness. Looking absolutely divine, Hudson is a compelling presence on stage. A strong actress, Hudson maintains Shug Avery’s simmering vulnerability and self-doubt beneath the glamorous trappings of her lifestyle and the adoration she attracts from one and all. 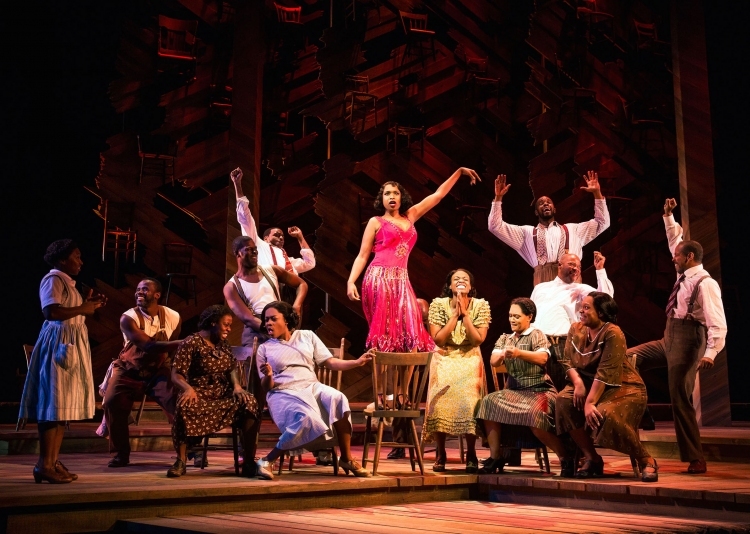 “Push da Button” is a lively showstopper in act one, and Hudson scores again with the exquisite title song, “The Color Purple,” early in act two. With her gorgeous wide smile, Danielle Brooks brings an engaging warmth to Sofia. She has the audience whooping and hollering with Sofia’s anthem “Hell No!”. With no special makeup or fake blood, Brooks does an incredible job of portraying Sofia’s damaged face and body after she has been repeatedly beaten in jail. Finally, Sofia’s giggling return from her deep funk is a moment of sheer joy. 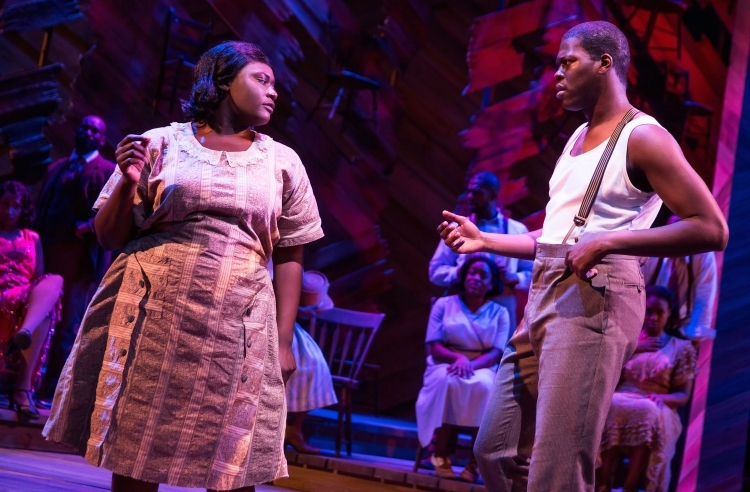 Kyle Scatliffe has the requisite sweetness of loveable Harpo. Isaiah Johnson could definitely have used some aging makeup as Mister, still looking very virile after forty years have passed. Johnson is not quite harsh enough in the role, but his performance of the redeemed Mister is touching nonetheless. 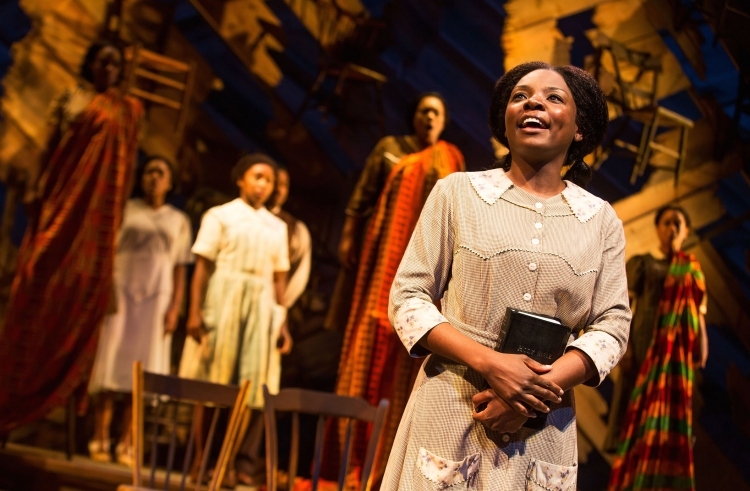 As Celie’s sister Nettie, Joaquina Kalukango has the least interesting arc (and wears the same costume for the whole show) but her singing is sweet and strong. In the end, this is Erivo’s show. Expect to see her in another (and another) before too long at all. 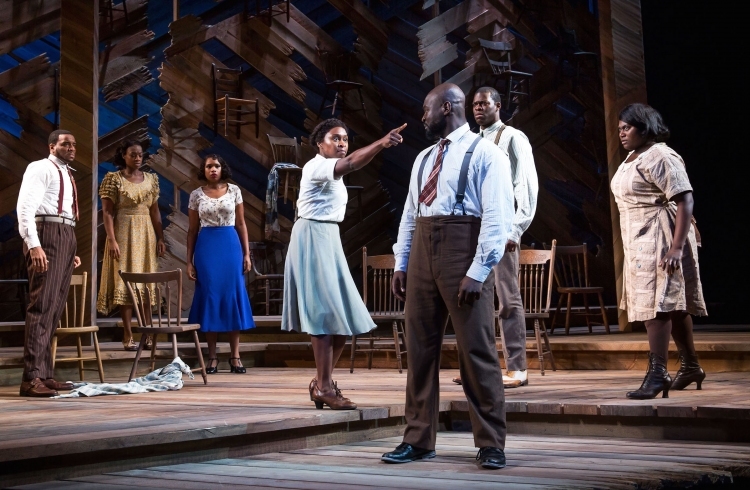 The Color Purple was reviewed 7pm Tuesday 5 April 2016 at Bernard B. Jacobs Theatre, New York.